Andrew Davies raised some interesting issues regarding the possible acquisition of Japanese submarines for Australia in his recent post, ‘Getting the submarine we want’. I’d like to take a closer look at the suitability of the Soryu. Comparisons with the Collins class are difficult given the scarcity of published information and the fact that the Japanese platform and combat system components have been developed in an environment isolated from competition with Western/NATO suppliers. Still, the table below provides a comparison of the Soryu and Collins class submarines using publicly available information. Surface Displacement (tonnes) 2950* 3100 Regularly quoted displacement for Soryu (4200 tonnes) is submerged displacement, which means that Soryu carries 1300 tonnes of ballast water/external fuel. Useable space on-board is determined by the surfaced displacement. Note: since Soyru is a double hulled design some of the ballast tanks may be convertible to fuel tanks, improving the useable volume calculation. Range (NM) 6000 @ 6.5 knots 9000 @ 10 knots Australian operations require long distance transit to reach patrol area within a reasonable timeframe. Soryu is not designed for such long transits. Diesel Generators 2 x 1400 kW 3 x 1400 kW One fewer similar powered diesels means longer snorting time for battery charging and higher indiscretion rate, i.e. reduced stealth. Propulsion (electric motor) 5900 kW 5400 kW The higher installed power on Soryu is required due to the extra ballast water carried when submerged. Combat System C2 (Japanese) AN/BGY-1 (US/Aus) US based combat system fully integrated on Collins. Integration of US combat system into Soryu would be required. Torpedoes Type 89 – (Japanese) MK 48 (US/Aus) MK 48 torpedoes fully integrated on Collins. Integration of US combat system into Soryu required. Legislation and Naval Requirements Japanese Australian Modification of Soryu is required to meet Australian safety and technical regulatory standards. 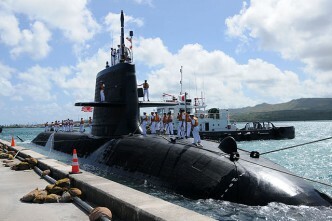 Operational Life 16 years 28 years Changes in design and support philosophy required for Soryu. New maintenance program required. It’s apparent that Soryu would need to be heavily modified to meet Australian requirements, particularly for long ocean transits and patrols. This would carry cost, performance and schedule risks, and will effectively amount to a new design—it won’t be a MOTS acquisition. The Coles Review highlighted the vital importance of establishing through-life logistic support arrangements in Australia during the submarine construction phase. 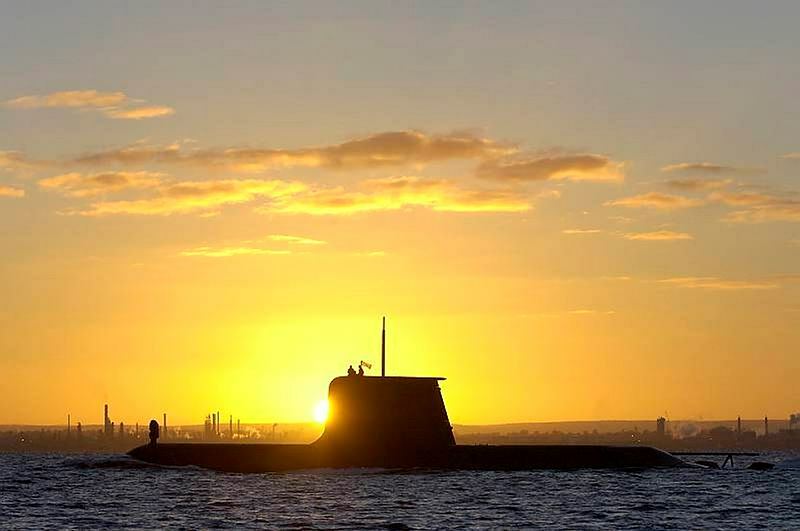 For that to be done successfully it’s critical Australia has full access to the boat’s technologies—otherwise the effectiveness of the new submarines will always be reliant on the relationship with the overseas parent navy and its industrial base. To expect to access all relevant technologies during the course of an overseas build of such a complex vessel as a submarine for the initial collaboration with a country, which has no experience in such matters, is extraordinarily ambitious and inherently risky. The cultural differences between European ship and submarine builders and ourselves have been sufficient to cause significant problems for the Collins and the Air Warfare Destroyer. 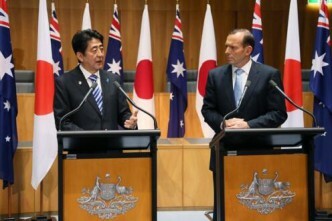 The prospects for difficulties arising from cultural differences with Japan are all too apparent and real. Careful, measured consideration of risks is required, and any proposal for a Japanese solution for the Future Submarine must address those issues. Based on the assessment possible from the limited amount of information available that doesn’t seem to have been done. Despite the apparent political attraction of this solution, it seems most unlikely that Soryu is as capable as Collins, and it almost certainly can’t offer the sort of improvements required in FSM. Considerable development would be required before a Soryu or its successor could achieve that. Nor can continuing political support in Japan be assumed, the current positive atmosphere is highly dependent on the personal commitment of the Japanese PM—a position that has changed 14 times in the last 15 years. The $20bn program cost being used in the media softeners lacks any details or credibility. For example, does it include the 25–30% contingency appropriate for a developmental project with the risks and issues identified above? Finally, all this will take time; time we don’t have if a capability gap is to be avoided. We do have time to do it properly. 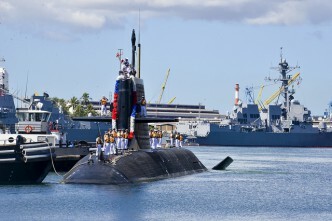 Using Collins as an indicator, the contract was signed in 1987 and the first submarine was delivered in 1996. While there were issues to resolve, this was a nine-year design and build program for the first of class from a greenfield site. Option J is a distraction. An Australian-led project definition study, utilising reputable European designers, is the way ahead to provide Government with the information and maximum options for the key decisions necessary to avoid a capability gap. 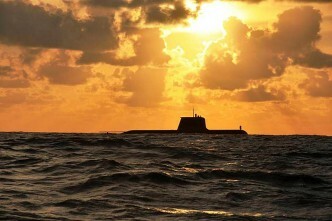 Peter Briggs is a retired RAN submarine commanding officer and past President of the Submarine Institute of Australia. Image courtesy of Department of Defence.